Adv. 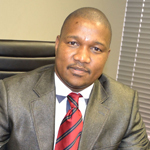 Thusang Dennis Dituku has more than 14 years extensive law experience. He obtained his LLB degree from the University of North West and he is currently busy with his LLM (Labour) with the University of North West. Adv. 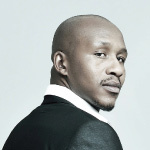 Dituku has numerous certificates and has completed some courses which includes Project Management from the University of Stellenbosch, Street Law Tutor from the University of Northwest, Competition Law- Mining from Compliance on Line Institute and Environmental Law for Managers from the University of North West. His career started as an Aspirant Prosecutor at the Department of Justice, he later worked as an Assistant Director for Legal compliance at the Department of Health for four years before he was appointed as a Contracts Manager at the of Department Housing. His career with Khumani started in 2008 as the Local Economic Development Superintendent at Assmang Khumani, in 2012 he started working as the Legal Compliance Specialist for Assmang Khumani Mine and his responsibilities included legal appointments in terms of the Mine and Safety Act, Legal Training as and when required throughout the operation, legal compliance audits, liaising with external stakeholders on legal matters such as DMR, conduct internal and external Legal compliance audits in line with the requirements of King III and managing and updating the legal register of the company. Adv. Dituku is a dedicated hard working, professional with proven ability to work in various sectors such as government departments, NGO’s and the Mining industry. He has served on numerous community board such as the Maphalane Development Trust as the Company Secretariat, Gamagara Development Forum as a Trustee and he is currently serving as a council member of the Northern Cape TVET Colleges and he is also an independent Advocate of the Northern Cape Bar. He has a passion for community development, human rights and supports Philanthropist and Socialist Ideology. Adv. Dituku has been hired as the new CEO for Gamagara Development Forum (GDF) and he will officially starts in Office on July 2015. 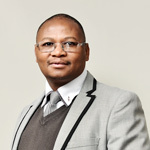 Thami Mgcina is an innovative, result-driven financial and business management professional with years that span well over a decade in his career. He carries a wealth of experience that cuts across the cutting-edge retail sector, e.g. EDCON Group, FOSHINI Group and NuClicks. Prior to joining GDF, Thami was Assistant Manager at Markham (Foshini Group) Qwaqwaand was later appointed Sales Manager. His continued demonstration of excellence and commitment to his work later saw him promoted to Administration Manager: Finance at JetMart Kathu (EDCON Group). He has also worked as an Assistant Manager: Finance at CNA Bethlehem (EDCON Group). Thami is a graduate from Boston Business College earning a Diploma in Administration Assistant. 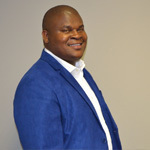 He holds multiple certificated that range from bookkeeping and Business Accounting from the Financial Management Institute of South Africa (FMISA) and Negotiation Skills from the University of Pretoria. He is currently studying towards Business Management Diploma with Boston Business College with aspirations of an MBA in same. Since joining GDF in 2011, Thami has continued to demonstrate excellence in his work by maintaining a Clean Audit for GDF for 4 consecutive years (2011 -2014). Thami is a well-rounded individual who lives with passion, dedication and grace. Ms Letshego “Granny” Mafojane holds a BA in Social Work from the University of Fort Hare. She has accumulated a lot of experience as a Social Worker at the Department of Social Development for 15 years and she got promoted in 2009 to being an Assistant Director at the provincial Department of Social Development in Kimberley. 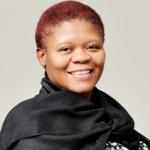 Ms Mafojane joined GDF in 2012 as the Project Manager for Welfare, Humanitarian and Healthcare. Tebogo Sam Bodumele completed his Secondary Education Diploma with Vista University in Bloemfontein, he also has an advanced certificate in Education with University of the Western Cape. He obtained his certificate in Project Management in 2008 and he also has a certificate in Financial Management which he obtained in 2009. Mr. Bobby Koloti holds a B-Tech degree in Civil Engineering (Majoring in Transportation) from Central University of Technology (CUT) in Bloemfontein, he started to work as Learner Contractor at Vukiphile Contractor Development under the Mangaung Local Municipality, Free State in 2005. The major projects he completed includes Construction of roads (Gravel and Surfaced), Storm water and Drainage and Main sewer lines..